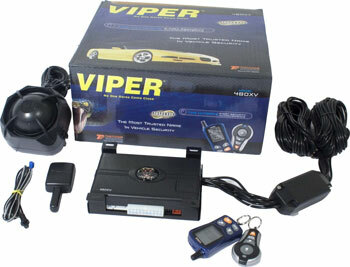 The 480XV Viper car alarm is a highly specified, top of the range device and is one of our Cat 1 Thatcham alarms. This is a 2 way pager system with a full screen remote, giving alarm status and communication functions from a distance, e.g. can remotely override sensor functions and re-adjust Ultrasonics. If your worried about leaving your car this is by far the system to have and add the adational dual zone microwave and you have an awesome set up which will protect all doors, boot, bonnet and inside the interior and both exterior sides of the vehicle with a warm away tone. The viper gives 3 bleeps if you get to close.